Colors make our life vibrant. Colors infuse joy and happiness amongst children. To rejoice the goodness of life and bring happiness to the hearts of our children, the kindergarten section of MJMHSS celebrated the Pink Day. On this day, children clad in pink dresses walked into the school looking like beautiful butterflies. 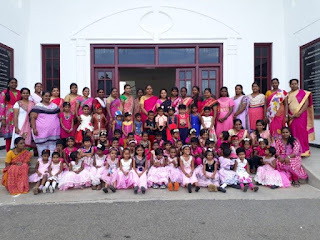 The teachers added more color to the ambience by dressing up in pink color too. The classrooms were decorated gorgeously with balloons and colorful stings of paper. 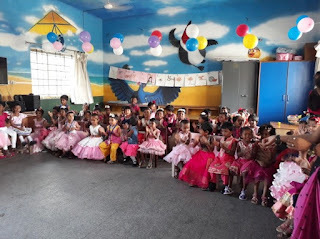 The smiling faces of the children is a testimony to their being at the “pink of their joy”. Children played fun games and participated in interesting activities where, “Pink” was the theme. At the end of the day, children were given gifts wrapped with pink chart papers.